Bags have been used as promotional products since the 19th century. The first company to do this, or indeed to use any form of promotional merchandise, was Cantwell Shoes in the U.S.A. The shoe shop gave local school children some bags with the message “Buy Cantwell Shoes” on the side. Since then, bags have continuously been the most popular choice of promotional product and it’s not hard to see why. Like the majority of promotional products, bags are popular with both marketing professionals and recipients because they are useful not just to the organisation as a means of spreading awareness of their brand, but also to the users as a means of carrying items. The range of bags available is as diverse as the items that are put them and the items to be carried in a bag will dictate what kind of bag it is, from small embroidered velvet pouches for jewellery to printed luggage for regular travellers. Picking the right bags for your customers and products will ensure that they will be used repeatedly over a long period of time; as a result, your organisation will get plenty of exposure. Similarly, bags can be made from a myriad of materials to suit your budget and your needs. On the one hand, you have cheap and cheerful branded plastic carrier bags that are great for giving out to large numbers of customers. On the other hand, if you’re looking for something with an air of prestige, you may like to consider leather bags with your logo embossed on them. It is also easy to find eco-friendly bags if your organisation is particularly conscious of the environment. We can provide, for example, reusable cotton bags, recycled paper bags and biodegradable jute bags. Depending on the desired material and artwork, promotional bags can be branded in a variety of ways. Screen, transfer and digital print are all possible as well as embroidery. From small minimum order quantities many types of bag can be custom made to your exact specifications with up to 100% print coverage. There are two main advantages that bags have over other branded products. The first of these is the large print area. As useful as keyrings and pens are, the print area on them is limited by the size of the product, so some very detailed designs or company logos may not be suitable. The print area on a bag, on the other hand, is much larger, allowing fine details in artwork to be reproduced with clarity. The second advantage bags have is that they are containers. This means that, if you’re giving out several kinds of promotional item or any leaflets or similar items, everything can be placed in the bags to save space and so customers will have something to carry all of their new items in. We can even supply branded bags ready packed with other promotional products, or your own literature or products. Speak to us about fulfilment and save yourself a lot of time getting ready for trade shows, conferences, etc. 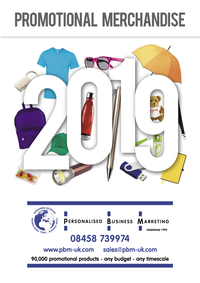 Contact us today to discuss your promotional bag requirements or click on the pictures on this page to see some examples of our most popular bags.